Hungry? A new Mexican bar and restaurant has you covered. Located at 1202 W. Grand Ave. in West Town, the newcomer is called The Gringo and takes over the space formerly occupied by Grandview Tavern. The Gringo comes from the same team as AMK Kitchen Bar in Bucktown and Nosh & Booze in the West Loop, reports Eater Chicago. It features Mexican decor, Spanish tiles and a large outdoor patio. On the menu, look for churros in a variety of flavors, from Samoa and Pop Rocks to original and Oreo. Ten tacos are available, including the carne asada with charred onions and red radish, beer-battered rockfish with creamy chipotle slaw and charred poblanos with roasted mushrooms. Fried chicken nachos, ceviche and sides like chicharrones round out the menu. Pair your meal with beer, wine, a margarita or a cocktail such as the Picante Pineapple with Tanteo jalapeno tequila, pineapple and lime. With a four-star rating out of 19 reviews on Yelp so far, The Gringo has made a promising start. 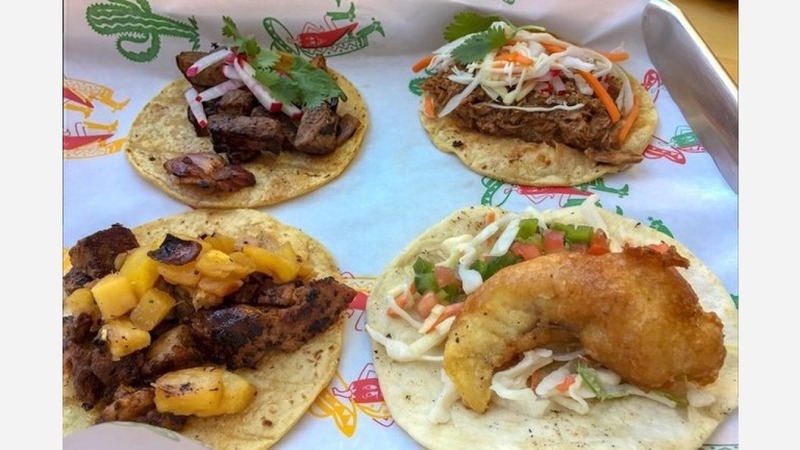 Luke G., who was among the first Yelpers to review the new spot on June 8, wrote, "Now if you like bars and tacos and you want to do both in a cool place with a righteous outdoor beer garden, then let me recommend The Gringo to you." And Spencer C. wrote, "The tacos were bomb, I recommend the al pastor, barbacoa and fish tacos! ... Definitely go there for incredible food, an awesome atmosphere, great drinks and incredible service with great music." Intrigued? Stop in to try it for yourself. The Gringo is open from 11:30 a.m.-11 p.m. on Monday, Tuesday, and Sunday, 11:30 a.m.-midnight on Wednesday and Thursday, and 11:30-2 a.m. on Friday and Saturday.